The origins of Chambers can be traced back to the formation of a set by Leonard Caplan QC shortly after World War II. This became 2 Harcourt Buildings which was a traditional set providing Counsel for criminal cases (at all levels) and civil matters (including family). In 1986 a number of people from 2 Harcourt Buildings set up new Chambers at 9 Devereux Court (a Middle Temple property). 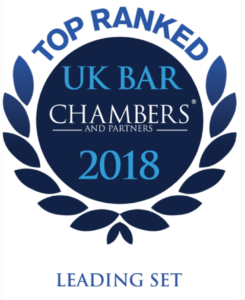 The work very much continued that which was carried out at previous Chambers but, from an early stage, case speciality in consumer law started to develop. Due to increasing growth larger premises were required and, in 1993, Chambers moved to Gough Square. By then the consumer and trading law (in particular consumer credit) speciality had become very pronounced leading to a situation now where the majority of Chambers do no other type of work.